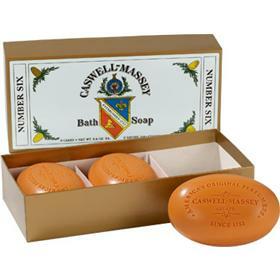 I bet you don’t know this about the Caswell-Massey Apothecary Since 1756 ‘brand’. George Washington and John Adams actually used this soap, so they say. It is probably one of Americas’ first soap Companies and I would highly recommend it. The beauty of this soap is the history that is connected to the birth of this great Country. I paid $10 dollars for this soap at my Local Cigar and Tobacco shop. Yes, you heard me right. Tobacco is as old as this soap company and Tobacco played a crucial role in the the American economy and the growth of our country. Please do refrain from smoking in the shower while you bath with the number six soap. You will really enjoy the complexity of this soap. I couldn’t even pinpoint the smell and I actually had to go back to Caswell-Massey website to find out what the hell was in it. Come to find out ‘The blend includes a melange of citrus touched with bergamot, orange blossoms, rosemary, narcissus and 27 additional aromatics.’ I swear this soap will give you some kind of Historical sensation while you use it. If you have not tried this soap yet then you are truly not an American Patriot.